Handheld electric Demolition (chipping) hammer. Provides 1,890 bpm and 18.4 lbs of impact per blow. Uses SDS MAX chisel bits. Includes 1 point and 1 chisel. 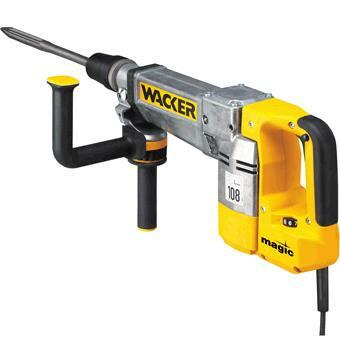 * Please call us with any questions about our demolition hammer elect rentals in Oak Grove MO, Blue Springs MO, Independence MO, Lexington MO, Odessa MO, Independence MO and Western Missouri.